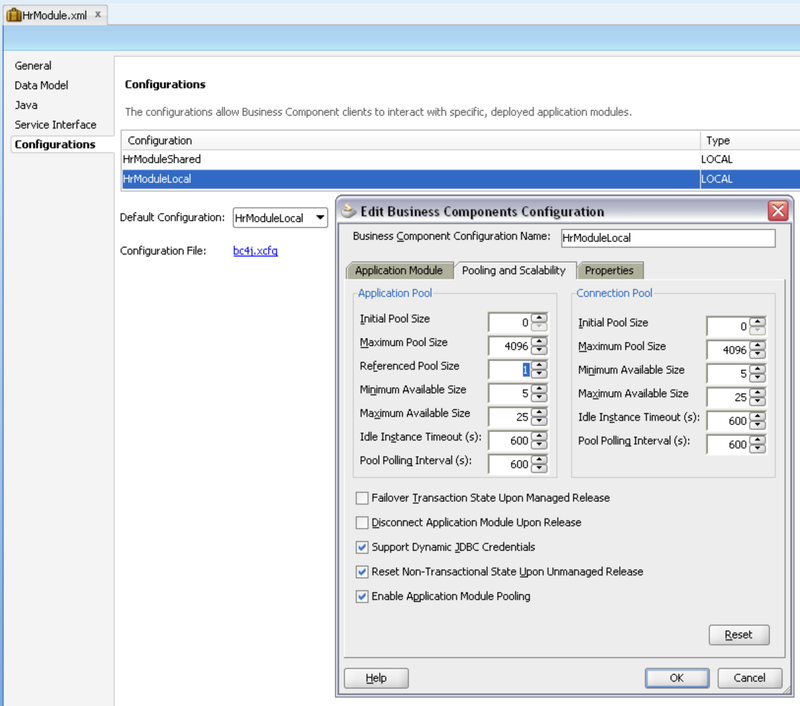 ADF BC API provides method to lock current row, but lock lifetime can be short. 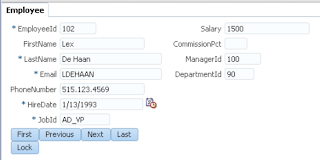 Lock method issues SQL lock and locks the record for current user. If your use case is to keep lock for longer period of time, in other words to reserve record by the user until commit or rollback - this is not the method you should use. 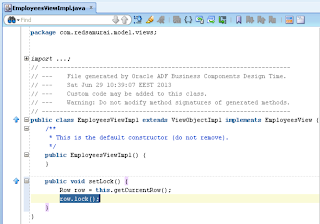 Lock issued from ADF BC can be released automatically, before user will be committing his changes. This happens when DB pooling is enabled or when there are more concurrent users than AM pool can handle. 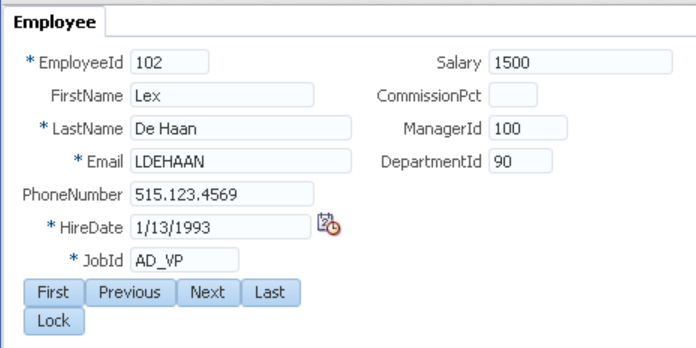 If you want to make sure that record will be reserved by the user for certain period of time, you must implement custom flag column in the DB and update it separately. 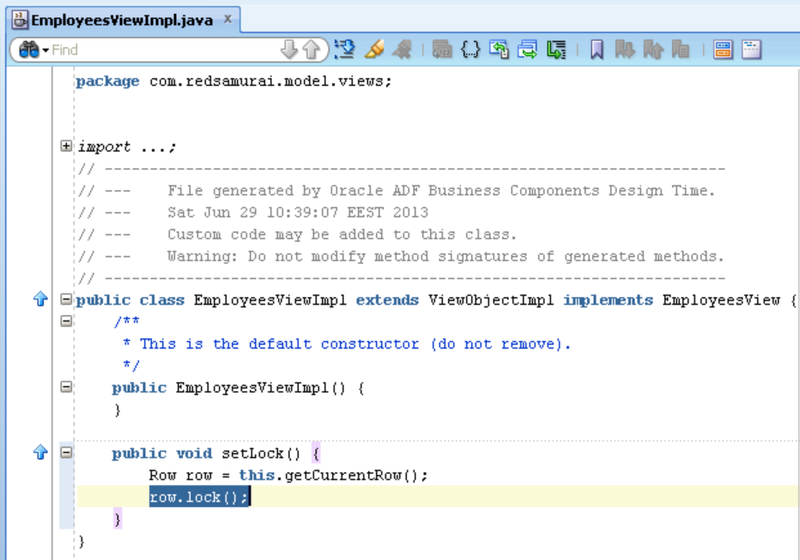 In this post I will demo, why you should avoid using ADF BC lock method to reserve current row by the user. Here you can download sample application - LockApp.zip. Lock remains for user A only in perfect scenario. In real life, when more users will be accessing your system, at some point AM pooling will start working and AM instances will be switching between users. When AM instance is switched, DB connection is reset and current lock will be lost. but there is some problem when user A lock first record then user B unable to lock record and error message display to user as you say but when user B lock second record it is locked that is working fine but problem is that lock of first record is released and user B able to lock first record after lock second record. I tested it and is not how you are describing. Keep in mind, main goal of this post - to describe that ADF BC lock method is not reliable, Im not providing any quick solution here.